Luxury 3 bedroom, 3.5 bath, truely ski in/out condo, Southwind slope 10 steps from front door or back door. Great place to learn to ski and for kids! Master BR has gas fireplace large bathroom with walk in shower and deep tub. 2BR has queen bed. Bunk room with 4 twin beds. All have TVs. Full kitchen with all utensils. Breakfast bar seats 4, dining table for 6. Family room gas fireplace and 35 in TV. Basement is finished with gas fireplace, 55 in TV, has additional twin bunk beds. Walkout basement to slope. 2 decks over look the valley, the most spectacular views in the area. Main deck has grill. 1 car garage and driveway for 1 additional car. Free wireless. Community center with fitness facility and swimming pool. The veiw and the slopes! Great place to come with the kids! basement great room seats 6, lots of floor space, and fireplace, walkout basement. Thanks for your kind review. Look forward to having you back again! Large unit slept 12 easily. Ski in/ski out, right next to the path. This unit is equipped with everything you need. We have stayed here before and will stay again. The owner is super helpful and very nice. Although we arrived in 60 degrees and rain, the unit was adjacent to a snow bridge allowing immediate access to the slopes regardless. The 3 story unit is generously appointed with anything and everything and feels like a comfy home. We had plenty of space to spread out and sleep 10 easily...enjoyed the unit apres ski, loved the many fireplaces and would return here again anytime. The resort has lots to offer during all seasons. Amazing time at Seven Springs! Thanks for the review. Hope to see you back soon. Great house! Perfect location for skiing! Rick was easy to work with and great on details. The kitchen has everything we needed to cook. Very comfortable house and enjoyable weekend! Wonderful, clean and great location! This condo was perfect for two families (total party of 10: 4 adults and 6 kids). We were pleasantly surprised to find the extra set of bunk beds downstairs for the two boys to sleep. The owners converted a small space for the extra bunk bed room. So technically, this condo has 4 sleeping rooms. It was perfect to split 4 girls into one room with 2 sets of bunks and the 2 boys into the other bunk bed room. Overall, the condo is very clean and well maintained. We would definitely rent again!!! 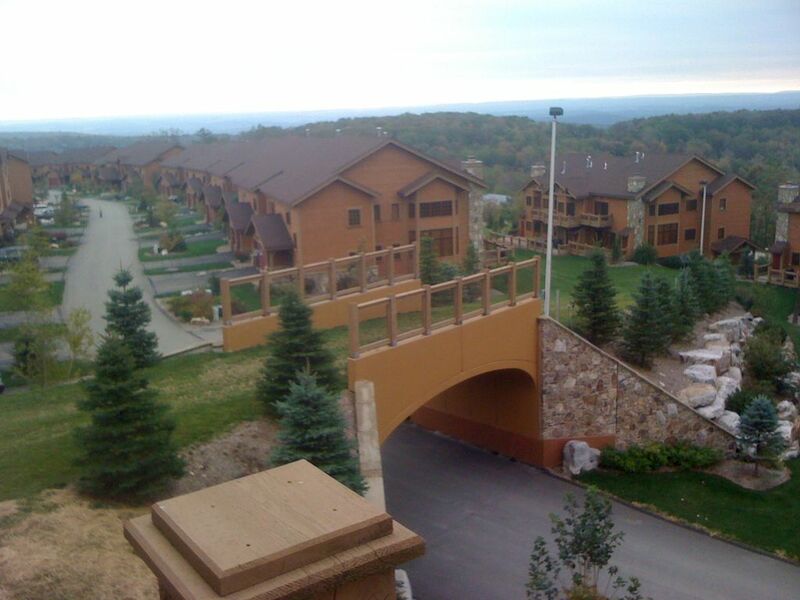 Located at the top of Seven Springs, close to sporting clays, golf, white water rafting at Ohio pyle, Falling water, memorial for flight 92, hiking and biking trails, fishing, and idlewild amusement park.